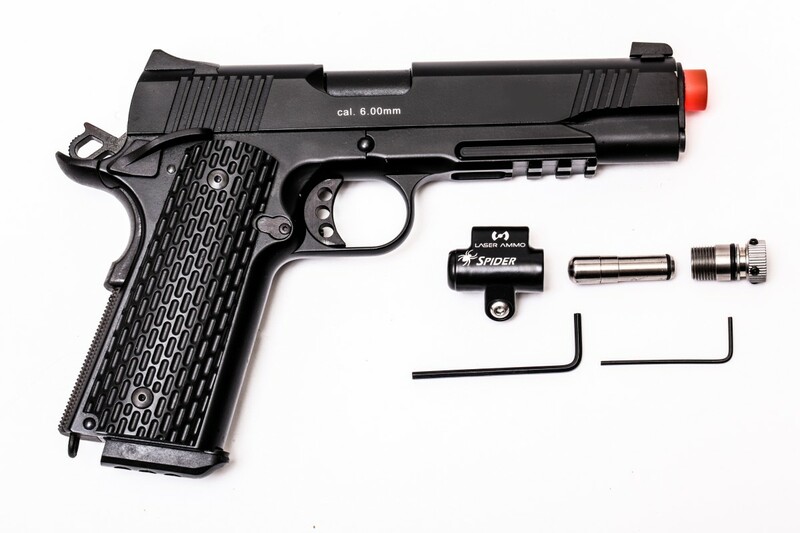 Bring the range to your home or office – a 1911 style airsoft pistol will convert to a training pistol with recoil and sound and let you train as if you are at the range, without range fees. Professional tactical training for home defense is now easier than ever. Train with your family and friends safely with real scenarios and realistic drills, with no need to cycle the gun, anytime, anywhere. 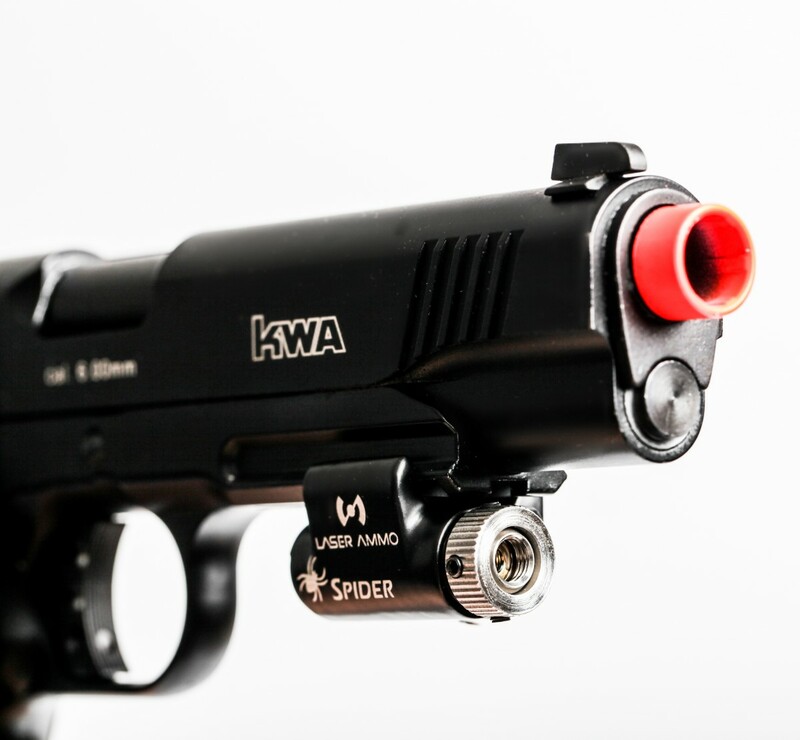 The recoil enabled training pistol includes a KWA 1911 MKII PTP gas blow back airsoft pistol with the SPIDER adapter and a vibration activated SureStrike™ cartridge (choose between red or IR). 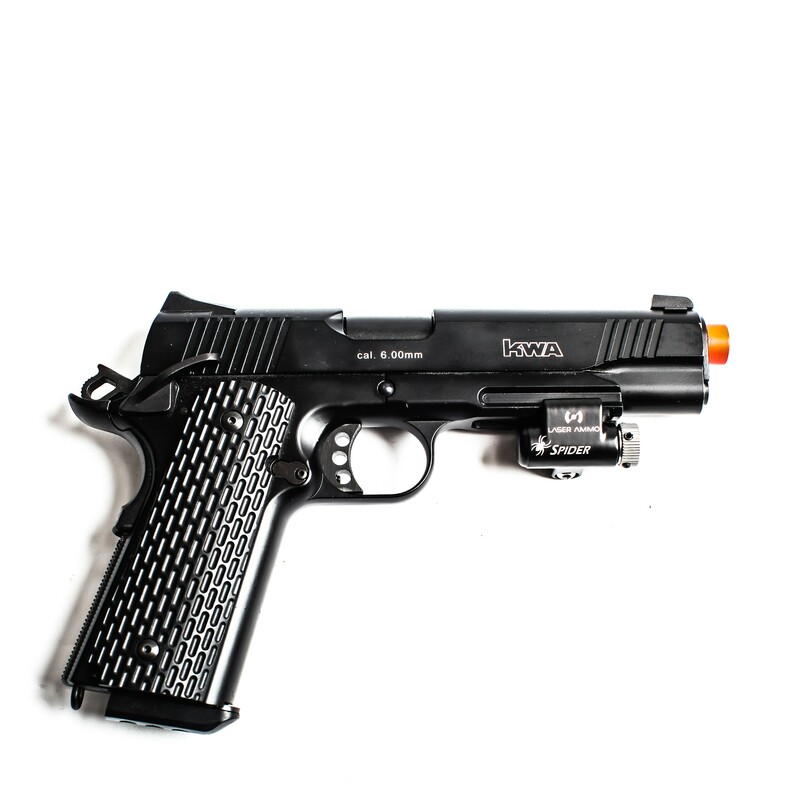 Continue to train outdoors with pellets: the original airsoft pistol is not changed; therefore, the user can continue training with pellets (BBs) outdoors with one of the highest quality and best in class GBB airsoft pistols. *Green Gas not included. Please make sure to buy green gas to operate the training gun. ***For dry fire with Laser, make sure to pull magazine follower spring down. 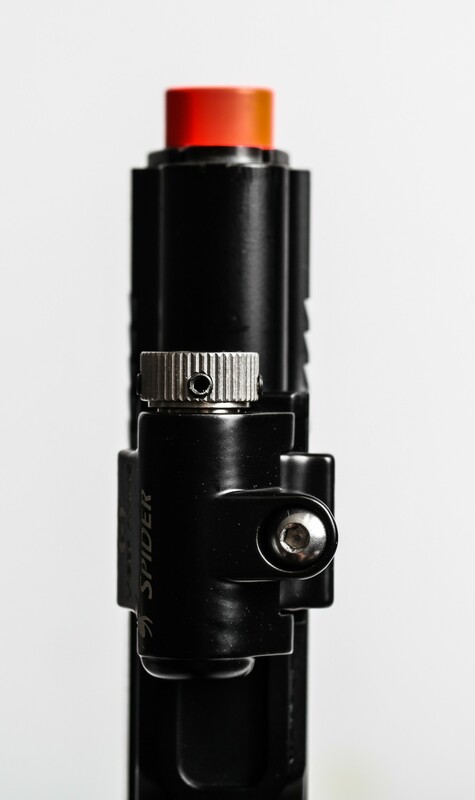 The Laser Ammo SPIDER will work with other Green Gas or CO2 powered airsoft training pistols with a Picatinny Rail, but will not work with spring-activated airsoft training pistols. Using the Spider with an airsoft gun might revoke the airsoft warranty. Please refer to your manufacturer user guide regarding warranty.